Am I the only one who a little bit dreads the yearly office Secret Santa gift exchange? I know that sounds horrible, but seriously, what do you buy that guy you barely know from Customer Relations? An expensive pen? A candle? Gift buying just got a little bit awkward. If you’re ready to move on from gifting desk organizers and fancy notepads, give me an “Amen!” and read our list of unique Christmas gifts for coworkers! 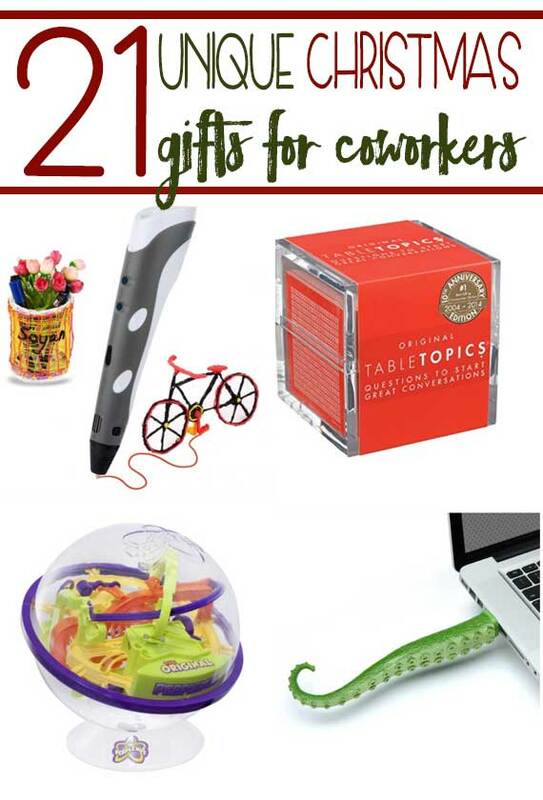 We found our favorite fun, maybe-a-little-bit-silly gifts to liven up your upcoming office gift exchange. 1. 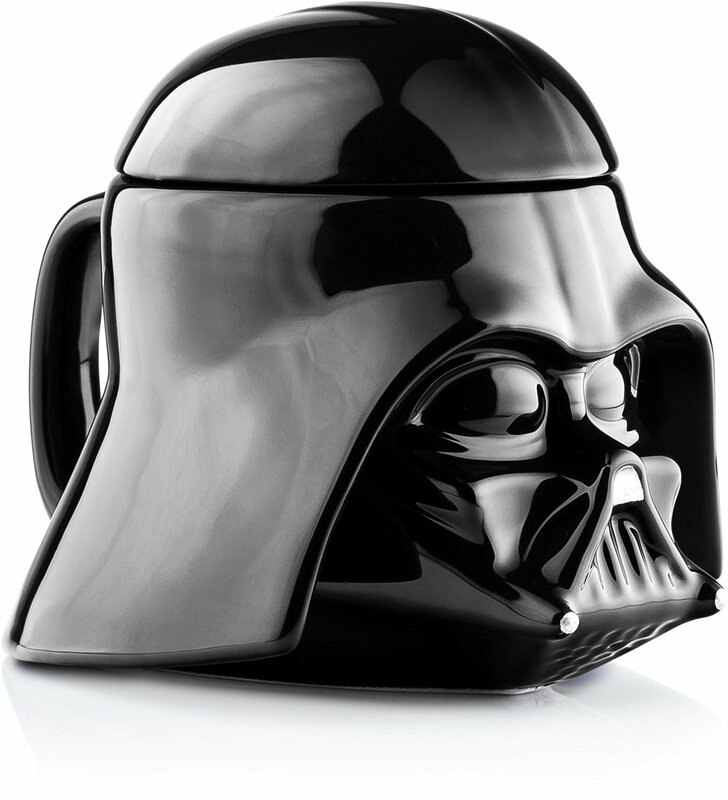 Star Wars Darth Vader Helmet 3D Mug with Removable Lid– For those who love their coffee on “the Dark Side,” (you see what I did there?) try this Darth Vader mug! 2. 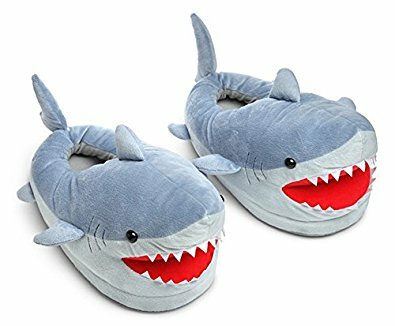 Chomping Shark Slippers for Grown Ups– Wouldn’t these feel so nice to slip into under a desk at work? 4. 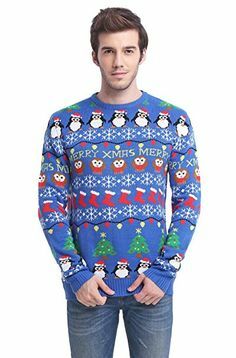 Ugly Christmas Sweater– Who wouldn’t want to be seen wearing this bad boy to the office Christmas party? I mean, c’mon, there’s penguins! 5. 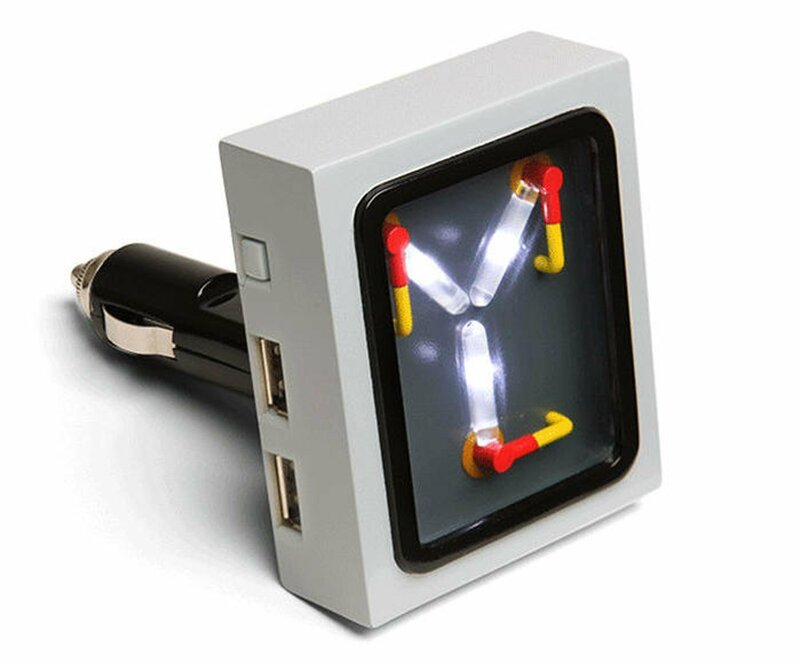 Flux Capacitor USB Charger– Your coworker will feel like they’re going back to the future with this USB charger! 6. 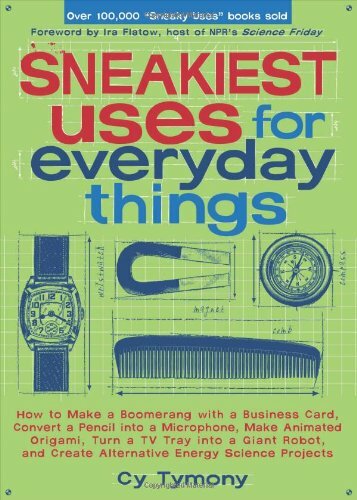 Sneakiest Uses for Every Day Things– If you read the cover, you will see why this book would be valuable in a work place. 7. 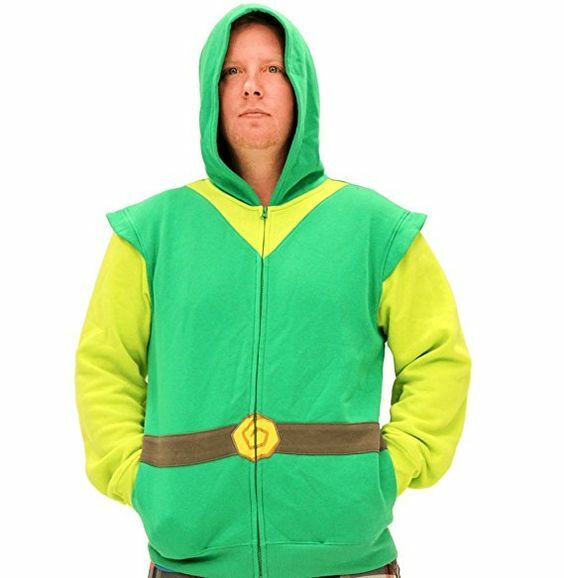 Nintendo Link Hoodie– For the video gamer, this sweater is sure to be a game winner! 8. 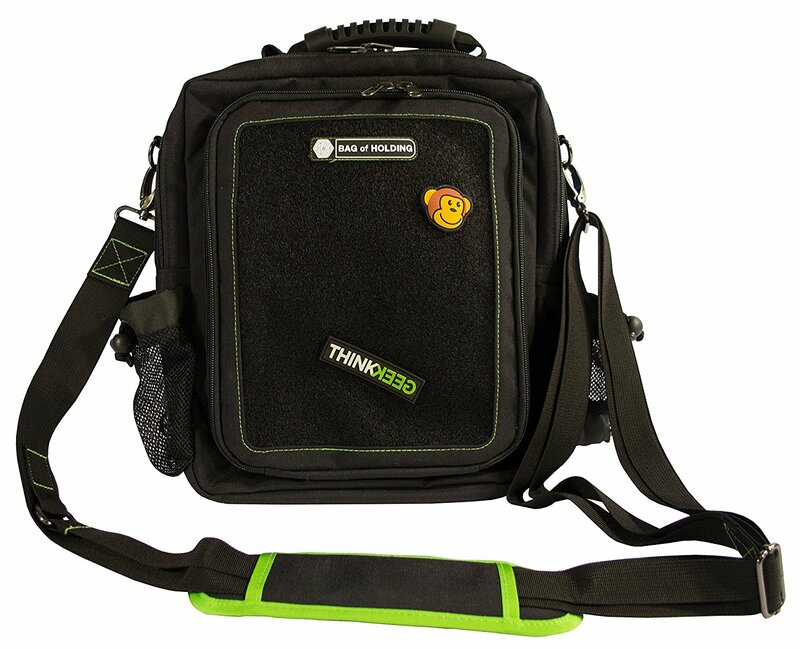 Bag of Holding– Not your average carrier bag, it is The Bag of Holding! What a powerful name! 9. 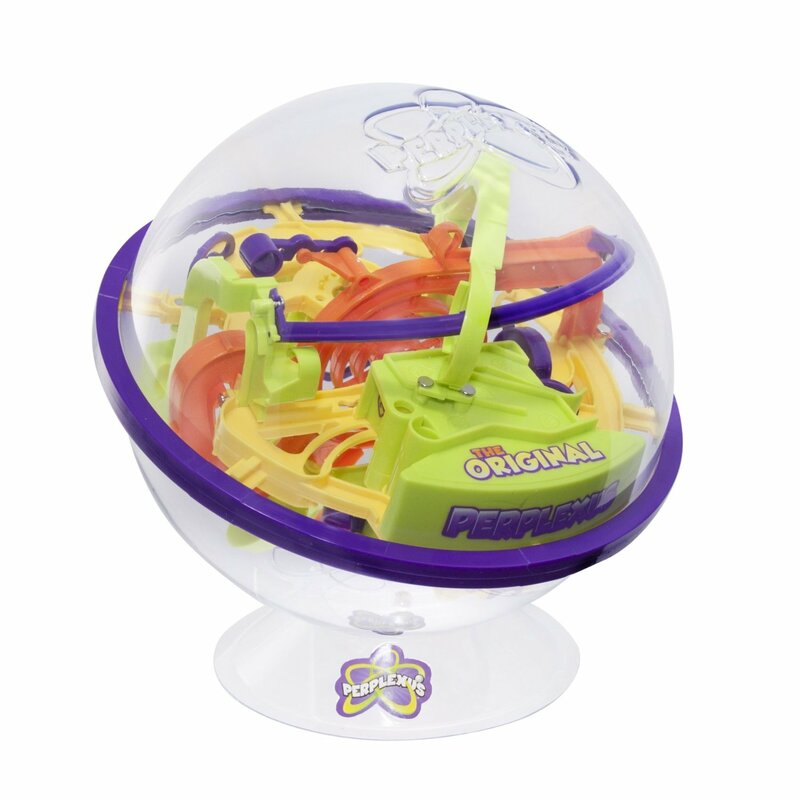 Perplexus maze ball– A nice little puzzle for any break time. 10. 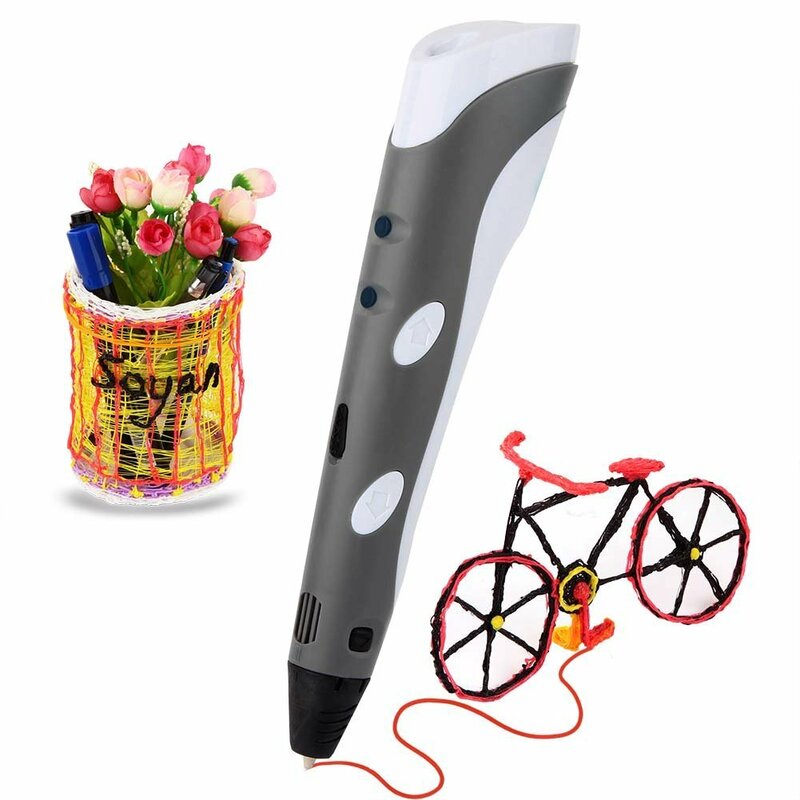 Soyan 3D Printing Pen– Did you know you can now 3D draw? Give the office doodler a pen upgrade with this 3D printing pen! 11. 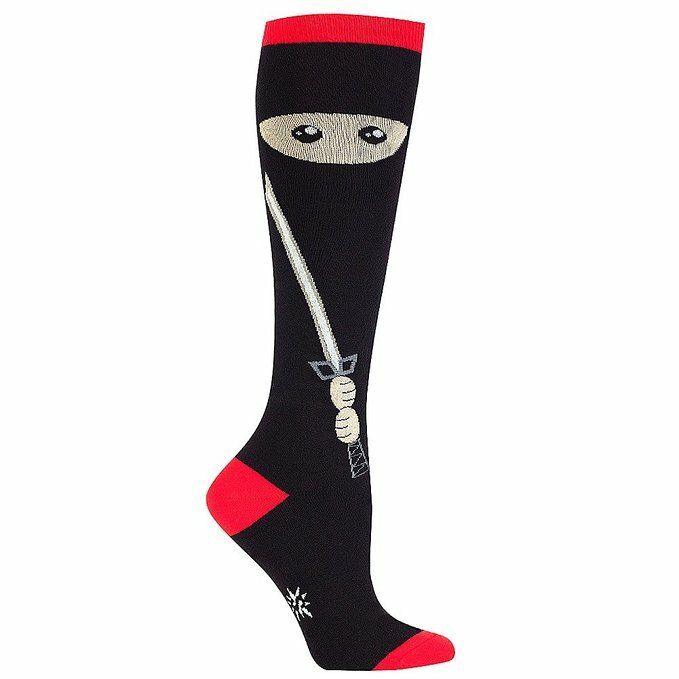 Ninja Socks– If your coworker is a ninja in the office, they will love these socks! 12. 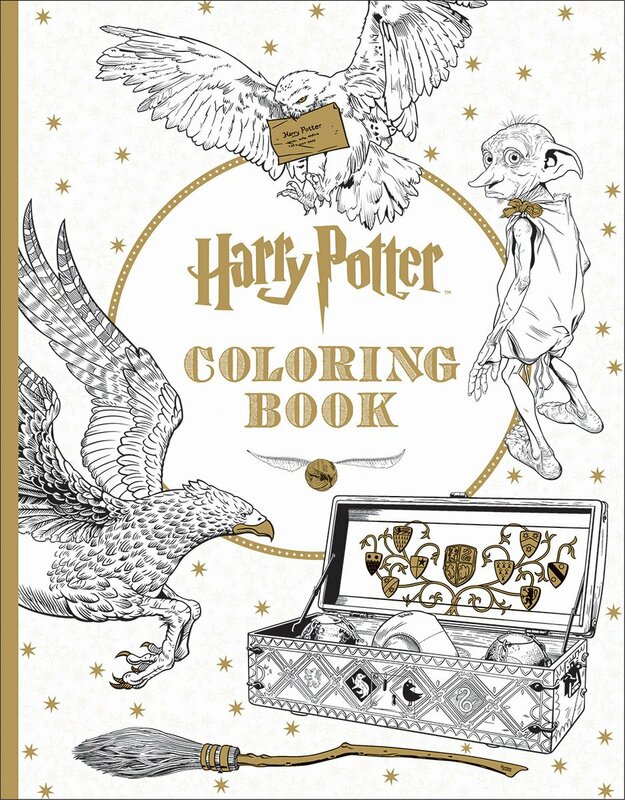 Harry Potter Adult Coloring Book– If your coworker is more wizard than muggle, try giving them a Harry Potter coloring book! 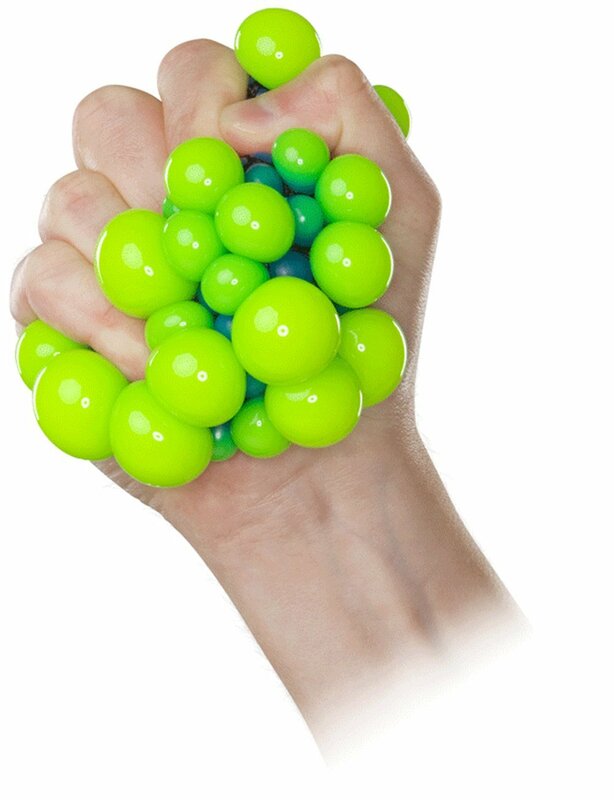 A great way to relax during break time! 13. USB Squirming Tentacle– Watch out! It’s alive!!! 14. 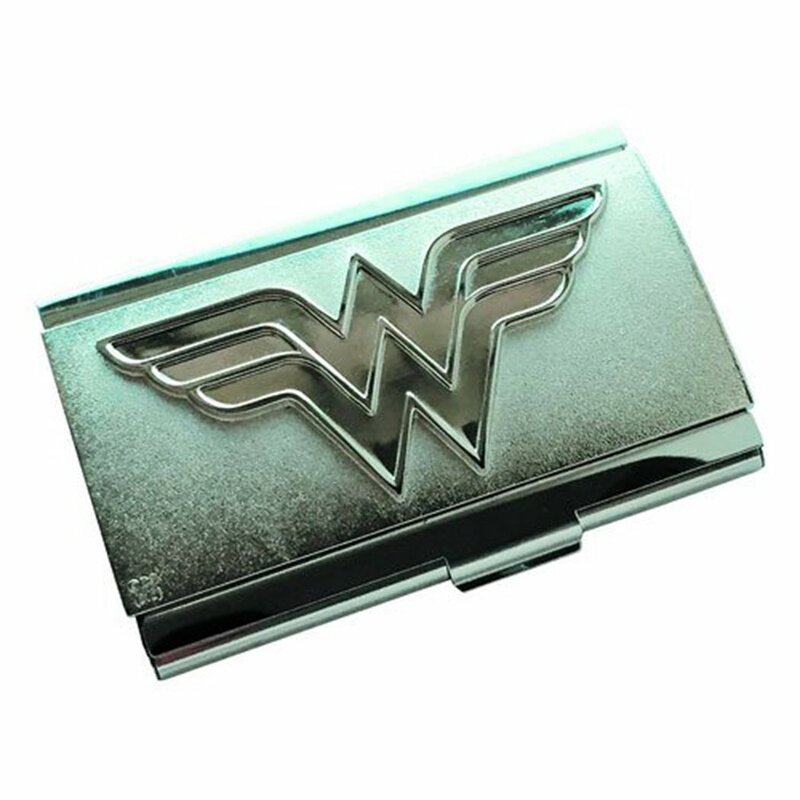 Justice League Card Case– Now your coworker can feel like a super hero whenever they pull out their business cards. 15. 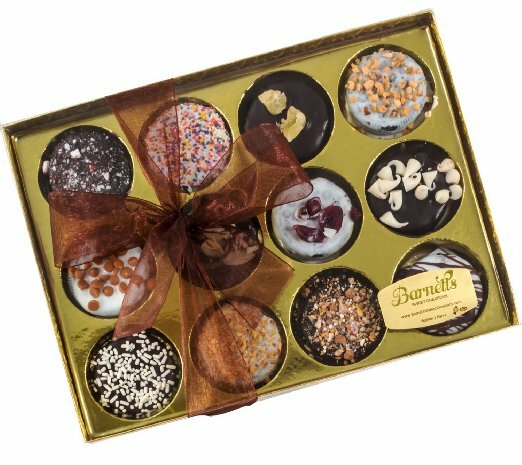 Elegance Chocolate Cookie Gift Box– Cookies. Need I say more? 16. 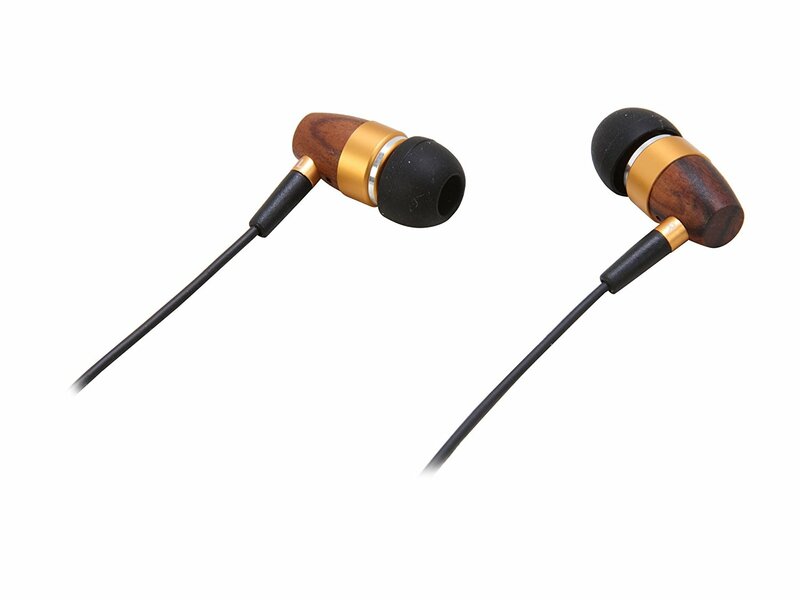 Rosewill Rosewood Noise Isolating Earbuds– If your coworker loves to get lost in the music, try giving them these noise isolating earbuds. Bonus- you’ll be able to sneak up on them so much easier for a fun little scare! 17. 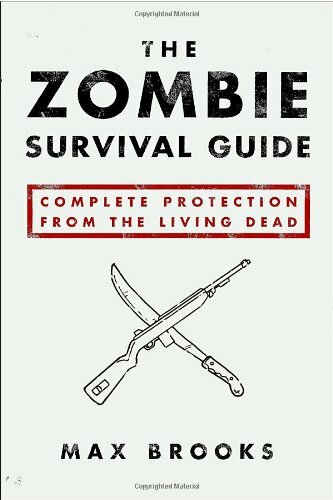 Zombie Survival Guide– This may not seem important, but it is. You never know when the Zombie Apocalypse could hit. 18. 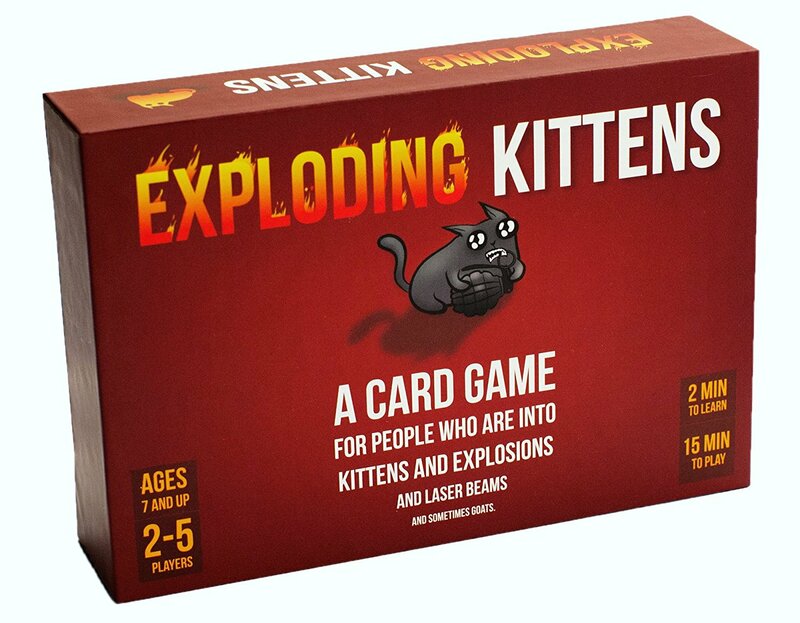 Exploding Kittens– This game is hysterical. For the quirky person with a great sense of humor, they will love this game. 19. 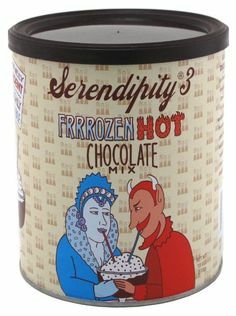 Serendipity Frrrozen Hot Chocolate– If you’ve had Frozen Hot Chocolate before, you know why this is a must! 20. 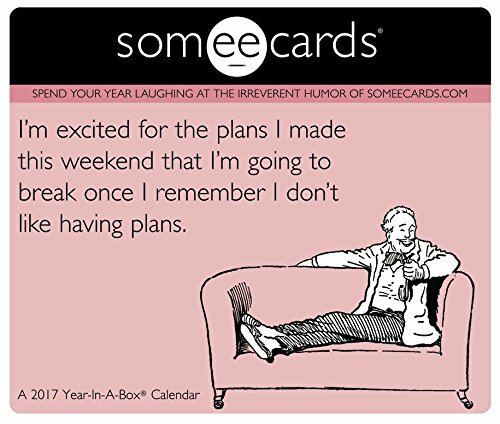 Someecards Year in a Box Calendar– For those who need their daily dose of sass, give them this funny calendar. 21. Table Topics– Everyone dreads the awkward pause of silence that inevitably comes in a group of people. 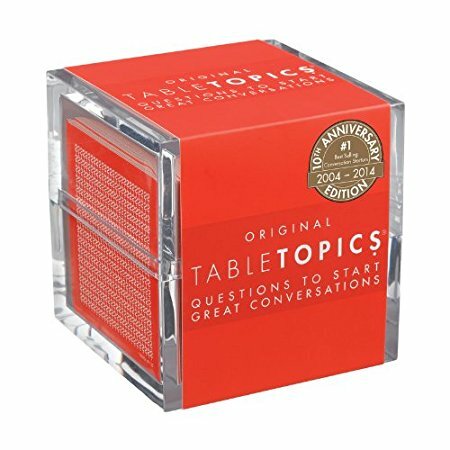 Help out your coworker with this stack of Table Topics cards.